All students must learn the eight parts of speech, or grammatical forms, of the English language in order to study the grammar of their language at a deeper level. You as a teacher can start your kindergarten through third grade students on the road to linguistic success by introducing the parts of speech—nouns, adjectives, determiners, verbs, adverbs, prepositions, conjunctions, interjections—in early elementary school. This lesson plan outlines activities to teach primary school students that prepositions are words that link nouns and pronouns to other words. Do you know what a preposition is? What do the words at, in, and on have in common? Most early elementary students will not know the answer to question one. However, your students should be able to identify some sort of similarity between the words at, in, and on such as all three are small words and all three are location words. Students might also place the words into sentences as in My mom is at work, We are in school, and The book is on the table to show their understanding of the similarities. Your students must be able to recognize some sort of commonality between the words in question two before continuing the rest of the lesson. If you students cannot satisfactorily answer the second question, you should point out the similarities yourself before reading the two books in the next section. What did you think of the books? Did you like one more than the other? Why or why not? Do you know what a preposition is now? The answers to the first three questions will vary depending on the opinions of individual students. The answer to the fourth question should be a resounding yes. You can then work with the answers from all students to create a classroom definition of preposition. For example, prepositions are small words that indicate a relationship between a noun or pronoun and another word such as an adjective, a verb, or another noun or pronoun. Write the definition your students develop on the board for students to reference for the rest of the lesson. To prepare for the “The Mouse and the House” activity, thoroughly clean the milk cartons and cut a large “door” on one side of each carton. You may optionally cut some smaller windows on the other sides of the cartons. These milk cartons will be the “houses” for this activity. Then cut “mice” out of the construction paper by cutting an oval with a tail. You may optionally have your older students cut out their own mice from the construction paper. To play for the “The Mouse and the House” activity, pass out two milk carton houses and one construction paper mouse to each student. 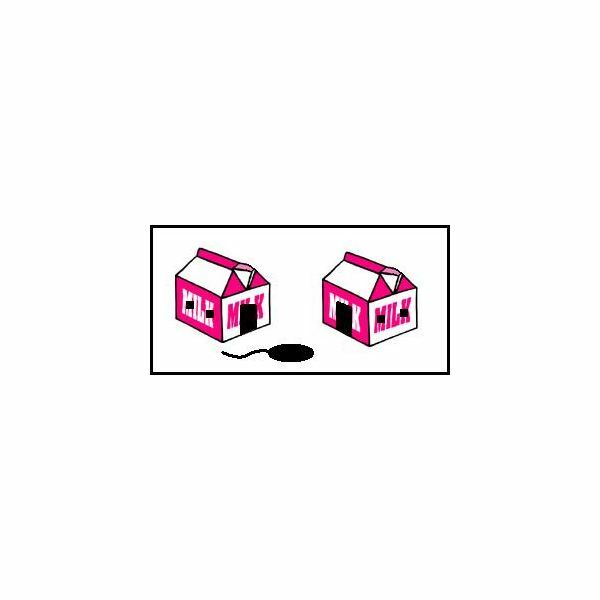 You will then give directions to the students by inserting prepositions into the following sentence: The mouse is _____ the house(s). The students will then place the mouse in the correct location. For example, if you say, “The mouse is behind the house,” then the students should place their construction paper mouse behind one of their milk carton houses. You should check that all students placed their mice in the correct location before moving onto another preposition and sentence. For a printable list of the most common prepositions in English, please download List of English Prepositions. You may also use worksheets with second and third grade students to practice identifying and using prepositions in the context of English sentences as well as to practice reading and reading comprehension skills. The printable Prepositions Worksheet: Elementary School Activities and Lessons for Teaching Prepositions is a sample worksheet for download that includes two activities about prepositions for elementary students. What do the words at, on, and in have in common? In response to the first two questions, your students should be able to provide you with the definition the entire class developed after reading the two books about prepositions as well as name some of the most common English prepositions. Your students should also be able to tell you that at, on, and in are all prepositions that show locations of nouns. Through your teaching about prepositions as words that link nouns and pronouns to other words, your kindergarten through third grade students will be well prepared for more in-depth grammar study in later grades.